Find a great sale price on this 2012 Nissan Sentra 4dr Sdn I4 CVT 2.0 SL at Campbell Nissan of Everett in Washington. 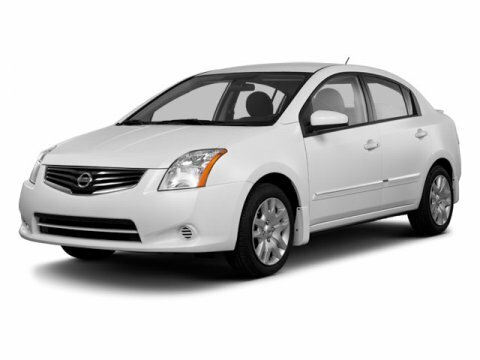 This 2012 Nissan Sentra is located at our Nissan dealership in Everett. We also serve the cities of Seattle, Marysville, and Lynnwood. So if you're looking for a great price on this 2012 Nissan Sentra 4dr Sdn I4 CVT 2.0 SL or just looking to get an auto loan for the vehicle you want... you've come to the right place! Campbell Nissan of Everett. Type your sentence here. Nissan Sentra 2.0 SL Super Black 27/34 City/Highway MPG We specialize in affordable CPO (Certified Pre-Owned) New and Used vehicles with an excellent selection for you to choose from. We provide great service, great prices and a great experience as proven by our excellent customer ratings, Dealer Rater 4.7 stars, Google 4.5 stars, 4.5 stars on Cargurus.com, Facebook 4.3 and yelp 4. We are non-pushy, genuine and honest The Campbell s are third generation owner operator local dealers. Proudly serving Mukilteo, Lynnwood, Everett, Shoreline, Seattle, Monroe and Snohomish and the surrounding areas of Washington since 1991.